Do you ever wonder? Why is it that there can be two houses in the same neighborhood that are similar in style and size, but yet one house sells and the other one doesn't. What gives? Typically factors to look at when determining why you're having difficulty selling are; market conditions, comparable homes that have sold & under contract, average market time, and location. But if you're in an area where inventory is tight, houses are moving and you're still finding it difficult to sell. Then it may be time to take a step back and look at what changes you can implement to make your house more sellable. A situation to avoid is to have your home sit on the market for a long time. If a homebuyer sees a house on the market for a while and it hasn't sold, their first thought is - "what is wrong with that house?" 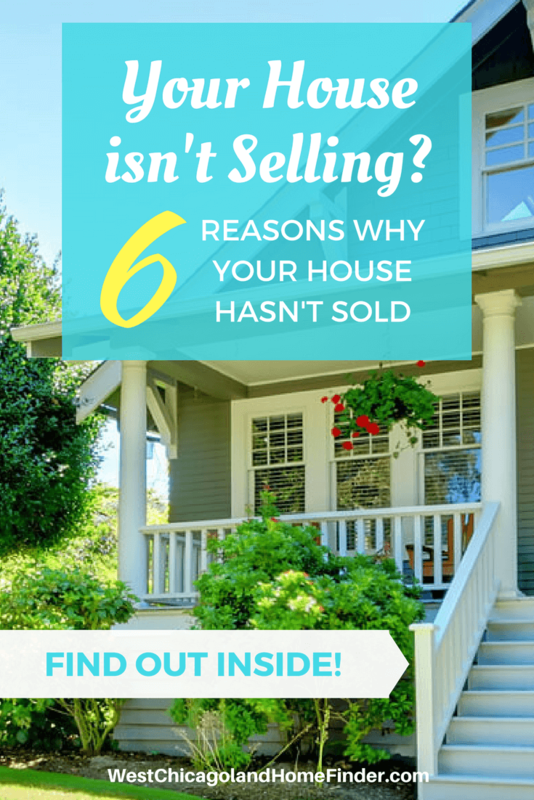 To avoid being in this situation, take a look at the 6 possible reasons why your house hasn't sold. Reason #1: Not taking the time to prepare. You've heard the saying; "You never get a second chance to make a great first impression"? This could not be any truer when it comes to selling your house. The first impression that homebuyers get when they see your house means everything. Not taking the time to prepare your house prior to putting it on the market for sale may cause you to leave money on the table. By preparing your house, shows homebuyers that you've kept up with the maintenance. It will stand out from the competition. The probability of homebuyers paying top dollar for a house is greater. And isn't that what you ultimately want? - to get the most money in the least amount of time. Reason #2: Hiring the wrong real estate professional. Recently I met with a homeowner of a house that failed to sell. At one point in the conversation, I asked about his previous agent. He told me that his agent was very "hands off" -- for a moment I thought I had traveled back in time and had to make sure I was still in 2018. The days of an agent placing a "for sale" sign on the lawn, putting that house into the MLS, and then hoping and praying that it will sell are long gone. Today's real estate professional will work with you to get your house sold. S/he will give you their unbiased opinion on what it will take to attract as many homebuyers as possible. They have an aggressive marketing plan designed to reach those homebuyers. And s/he will communicate with you at every step of the home selling process. A very "hands on" approach. You may think that in today's market you can, "test the waters" and price your house at a higher asking price. But the truth is, you'll be wasting valuable market time. When your home is priced competitively from the start, you'll generate more interest. Which leads to more showings, and leads to the possibility of more than one offer. It's important that the pricing of your home be correct from the start. Homebuyers are savvy. They are researching online to familiarize themselves with the area, and have a general idea of what home sales are in an area. Overpricing hurts your chances of getting a quick sale. Even if you do find a unrepresented homebuyer who is willing to pay more. You'll still need to get past the hurdle of an appraisal. If your house doesn't appraise, the homebuyer will not be able to obtain financing. So in the long run, it's best to price your house correctly from the start. You'll save yourself a lot of time and aggravation. Reason #4: Making your house difficult to show. Once you've decided to sell it's important to be flexible for showings. Yes it can be a bit inconvenient, but when your home is "on the market" you'll need to be show ready at all times. Keep your house neat and clean for homebuyers. The pay off will be well worth it. Don't make the mistake of being home for showings. When potential homebuyers look at your house they try to envision themselves living in it. But if you are present for showings they'll feel as though they are intruding. They'll feel rushed and not spend the time they would normally spend to look at your house at their own pace. The chances of a homebuyer falling in love with your house are reduced when they are rushed. When you do have a showing scheduled, open all the blinds and curtains, turn on all the lights. Make your house feel light, bright, and inviting for your guests (homebuyers). Reason #5: The lack of high-quality photos. As part of my marketing services, I always hire a professional photographer. They are the professionals and know how to capture each room of your house to make it look it's best. 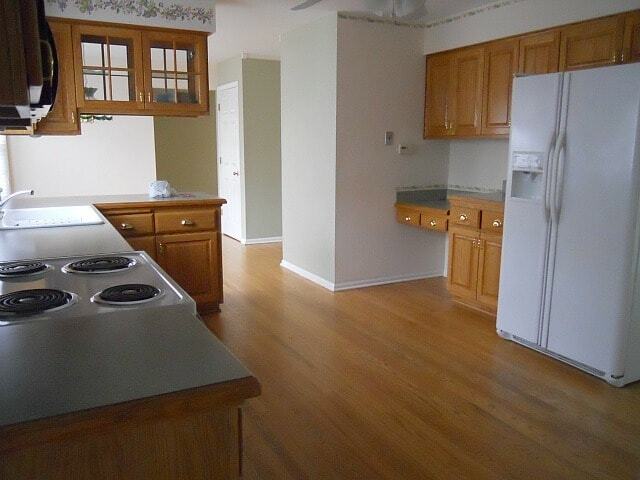 As an example I've included photos of similar kitchens. Can you guess which one is the professional photo? Reason #6: Not having your house staged. When it comes to home staging, each situation is different. Sometimes all it takes is rearranging your own furniture pieces, or bringing in a few pieces to compliment your furniture. Or you may need to remove a few pieces to make a room look larger. This is why home staging, de-cluttering and de-personalizing work hand in hand. Home staging is all about highlighting your home’s best features and downplaying the worst. It's about creating a clean open space, to help buyers visualize themselves and their furnishings in it. Giving special attention to the main living areas. To make that great first impression. I hope this article has given you the advice you need to get your house sold. Implementing a few changes can make the difference between your house sitting on the market or it selling. This Real Estate article "Your House Isn't Selling? 6 Reasons Why Your House Hasn't Sold" was written by: Maria Mastrolonardo. I'm a Realtor with RE/MAX of Naperville, and I've been selling Homes in the West Chicagoland area including but limited to: Naperville, Wheaton, Lisle, Downers Grove, Aurora, and Winfield for 20+ years. Let me help you buy your next home or sell your current one. You can easily reach me by calling or text at (630) 248-6077 or via email at mmastrolonardo@gmail.com. I look forward to working with you!